Cat Buxton is a busy cross-pollinator. A social entrepreneur, she runs Grow More, Waste Less, in Sharon VT, empowering and connecting communities to affect positive change from the ground up. A self-described microbe geek, Cat loves to talk about bugs, soil health, gardening, and composting, pretty much wherever she goes. She manages the edible schoolyard at Thetford Elementary School, weaving it into K-6 project based learning, and is a technical guide for school compost systems. She’s the coordinator for Upper Valley Apple Corps and a host of other projects including the Vermont Healthy Soils Coalition. She consults, teaches, and presents about soil and ecosystem health. She loves to be outside with hands on earth, and to live simply with her husband and kitty friends. Kate has grown up calling the rural town of Putney home. With a childhood ingrained in the Working Landscape, she grew up to value and honor its humble traditions. Over the past 4 years she has grown into her role as a voice for the forest products economy and small family farms. She and her family own and operate Meadowdale Farm, a traditional diversified hill farm. Elena Gustavson grew up in the middle of a sprawling city with a mother who turned up the rocky foothill soil around their home and grew the largest cabbages in the whole neighborhood, foraged in the mountain forests and fished local waters with nets – LONG before it was hip (but still pretty cool). As an adult pursuing entrepreneurship in both the food industry, retail markets, and communications, Elena eventually moved her young family to Vermont in 2004 where she has since worked with all manner of farmers, food producers, small businesses, and non-profits. She is thrilled to support an organization that holds at its core the belief that our well being lies in connection to and in purposeful action for, our small Vermont farmers, healthy working soils and nutritious food. John and his wife Lauren own a diversified organic livestock farm in Plainfield, VT. Together with their 4 kids, they raise grass-fed beef, pork, chickens and dairy heifers. John has worked with various organizations over the last 18 years on organic and sustainable farm policy. He currently oversees the field operations in New England for Organic Valley dairy cooperative. He is a strong believer in the power of grass-based farming to both heal the soil and boost the economy of our rural state. 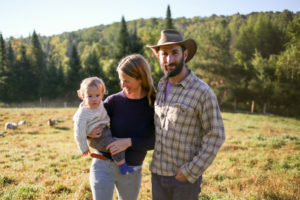 Nick Zigelbaum and his wife Kate Maclean and operate Longest Acres Farm in Chelsea, Vermont, where they raise Animal Welfare Approved, 100% Grass-Fed and Organic beef cattle and sheep. They also raise a smaller number of pastured pigs, broilers, layers and guinea fowl. After a short stint as a mechanical engineer, Nick joined the Natural Resource Defense Council, lobbying for stringent energy codes and enacting green building legislation in California. Meanwhile, Kate worked for the then startup, Facebook. Growing weary of offices and suits, they fled to farms in France, North Carolina and Western Massachusetts, finally settling in Vermont on their own land in 2012. Now, they hope to leverage their science, advocacy and social media prowess on behalf of the Rural Vermont board to bring about regenerative, holistic and pro-farm policy. Derek O’Toole grew up in a small town outside of Worcester, MA. Always hands-on, and never one to be found working behind a desk, Derek decided to give the mariner life-style a try. After 6 years piloting ships on the Great Lakes, he returned to New England with an itch for farming. After apprenticing at Sunrise Farm CSA in White River Junction for 3 seasons, Derek decided to start his own farm with the idea of using horses instead of tractors, and providing fresh, local food for his community. Having grown up around horses, he enjoys the challenge and complexity of using horses for farm work, logging and sap collecting. He and Megan started Anchor Light Farm in 2012. Meghan Stotko is co-owner of Heartwood, a 5-acre diversified vegetable farm, old-fashioned sugaring operation, and catering company in the Northeast Kingdom. 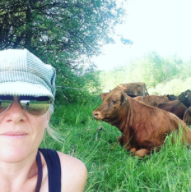 As a former goat farmer, Meghan got involved in Rural Vermont’s raw milk campaign in 2012 and has been working with RV to promote the vitality and interconnectedness of workers, eaters, animals, and soils ever since. Meghan brings her background in food justice, education, and community organizing to the board. Chris Wood is a collaborator and a community connector. In the field of farm and food policy and concerns, he has been co-manager of the Winooski Valley Food Coop, co-founder and co-director of Rural Vermont, publisher of Organic Farmer magazine, and founder of the Vermont Farm and Food Coalition in the 1980‘s. He co-founded the Horn of the Moon Cafe (in Montpelier) back in 1977 and currently serves as Executive Director of BALE (Building A Local Economy). Nathaniel Miller has owned and operated Ned’s Best Beef (under the umbrella of Falling Damps Farm in Northfield) since he moved here from Montana in 2012. He raises 100% grass-fed beef cattle—a mix of old breeds that he is always tampering with—as well as pigs and one human child. He’s been a ranch-hand, journalist, teacher and about 20 other things, mostly in the Rocky Mountain West. He writes fiction when the farm allows. Christine is a certified organic diversified farmer with her husband Adam and their two daughters, Sadie and Delia in the Lake Champlain Islands -Grand Isle, VT. They are first generation farmers, have been farming since 2004, and raise vegetables, herbs, plants, wool, lamb, yarn, eggs, chicken and they also have pasture raised beef, raw milk, and pork. Making food affordable and accessible to anyone has been their mission with their organic farm. Christine is honored to be part of Rural Vermont's board and help advocate for farmers in Vermont. Corie is owner / operator of the VT Land Trust conserved Bread & Butter Farm in South Burlington and Shelburne, VT. BBF is a diversified farm where they raise 100% grass-fed beef, woodland pigs, organic veggies, organic layers, and offer a whole host of community, kiddo, all-age programs and events. 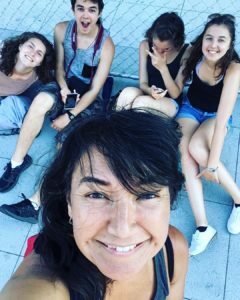 Corie's partner, Chris Dorman, runs a music and movement program on the farm, Music for Sprouts, and together they strive to bring community together through land stewardship, good food, and music. The farm is a collaborative model with several businesses operating at the farm, including an on-farm café called Blank Page Café run by Mike Proia, resident artist Nancy Miliken Winship, and Vermont Farm Tours run by Chris Howell and several educational partnerships - The Schoolhouse and UVM. Corie, Chris and their two kiddos are honored to farm, be part of the Vermont regenerative ag scene, and hope to continue to help change the conversation about what the definition of a "farm" is in the 21st century.